Summer is coming to a close and that’s my favorite, Sweet Tea on a hot summer day. 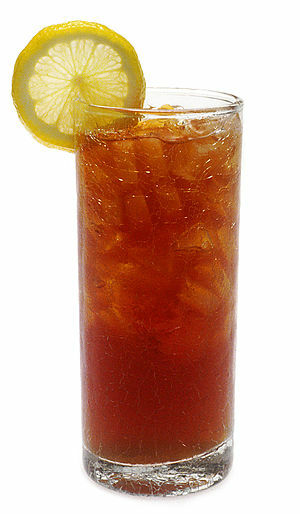 Southern Sweet Tea is an art, the main difference is that it is brewed stronger than other iced teas. Also, the sugar is added while the water is hot, which is important in achieving the sugary goodness in which it’s delicious and famous for. If you’re not a diehard Southerner or sweet tooth addict, add sugar to taste, so that the tea isn’t too sweet for your liking. It’s preferred to use real sugar, natural cane sugar as substitutes do not dissolve appropriately. Another tip is that some people add a pinch of baking soda to the boiling water to remove potential bitterness from the tea. This is a matter of either dealing with poor water quality or allowing the tea to steep to long. Anyone out there like sweet tea made differently? Come on and share!! Below is the recipe for great Southern Sweet Tea. 1. In a small pot on the stovetop or in a microwave-safe dish in the microwave, bring 4 cups of water to boil. 2. Carefully stir sugar into the boiling water until dissolved. 3. Add tea bags into water and steep for 25 minutes. Remove tea bags. If not all tea is consumed in one sitting, put in refrigerator to keep cool for your next serving tomorrow. Next Next post: NANO You, NANO Me, 1 Month in Counting!